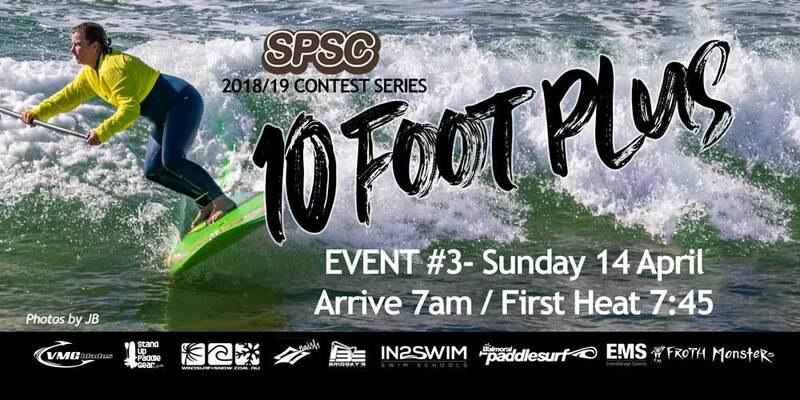 The 3rd and final SPSC 10 foot plus comp of the season is this Sunday at 7am. There is no heat progression, every surfer have two heats, earning points for a final positioning at the end of the 3 events. All competitors are expected to remain at the event site for the entire duration of the heats as judging is pre-allocated so everyone gets a turn to judge a heat. Heats will be 15 minutes long and run back to back, which means 3 hours total run time. All competitors are expected to wear leg ropes and allocated coloured rash vests. Boards must be over 10' in length. Rides will be judged on Style, Length of ride, Positioning, Wave selection, difficulty of ride/maneuvers and all round performance. Points will be allocated in reflection to the intensity and difficulty of the moves performed. All competitors are expected to be at the marshalling tent around 7am, for a potential 7:20am Riders briefing and 7:45am first heat start. Given smooth running of heats this will have things wrapped up by 10:30am.All general surfing rules, common sense and good sports personship are expected at all times. Final season winners will be announced at the SPSC AGM in August.